The average lifespan of a central air conditioning system is about 15 to 20 years. Even if your AC system is still working, you could benefit from replacing it. 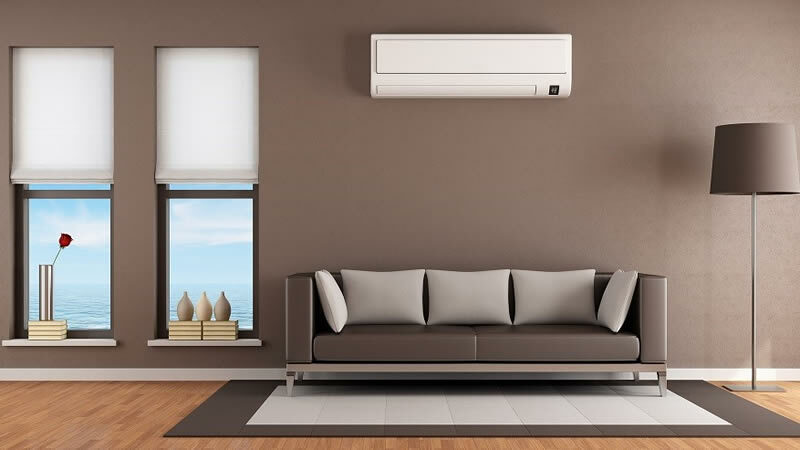 Today’s AC systems are much more efficient and have more features, which make them a good investment for your comfort and budget. Is Your AC System Sized Properly? A common problem with AC systems is that they were not properly sized before installation. When the AC system is improperly sized, it will not operate at peak efficiency – regardless of SEER rating. This can mean drastically higher utility bills, as well as more frequently breakdowns and maintenance requirements. We offer comprehensive AC replacement services, which means that we don’t just replace your old AC system with a unit of the same size. Our technicians perform precise calculations to make sure you are getting the right sized system for your exact needs. In addition to Manual J calculations, we also look at factors like energy zones, duct design, and complementary systems. We take a comprehensive approach to AC energy and cost savings. Making sure the AC unit is properly sized is just one part of the picture. It is also necessary to make sure that ducts are well designed, air flow and pressure are optimal, and that you aren’t cooling spaces unnecessarily – like cooling your bedrooms during the day or your kitchen at night (energy zoning). We take pride in working closely with all of our customers to ensure they get the best AC solutions for their current and future needs. You can trust us to get it right! Why Choose Us for Heating Services in Clearwater, FL? •	All Major Makes and Models of AC Systems: We know it isn’t enough to offer one type of furnace system! We are committed to choice and can service and install major makes and models of furnace systems. •	Committed to Excellent Work: All of our technicians are licensed and certified heating and cooling experts who have undergone in-house training programs to ensure excellence. Even our dispatchers are knowledgeable of furnace and heating services so you get excellent service from the moment you call. •	Energy-Saving Solutions: We specialize in energy-saving solutions for heating and cooling. We assess your real AC needs and come up with custom designs to meet your needs and budget. We provide free estimates for AC replacement services in Clearwater. Contact us today to learn more.